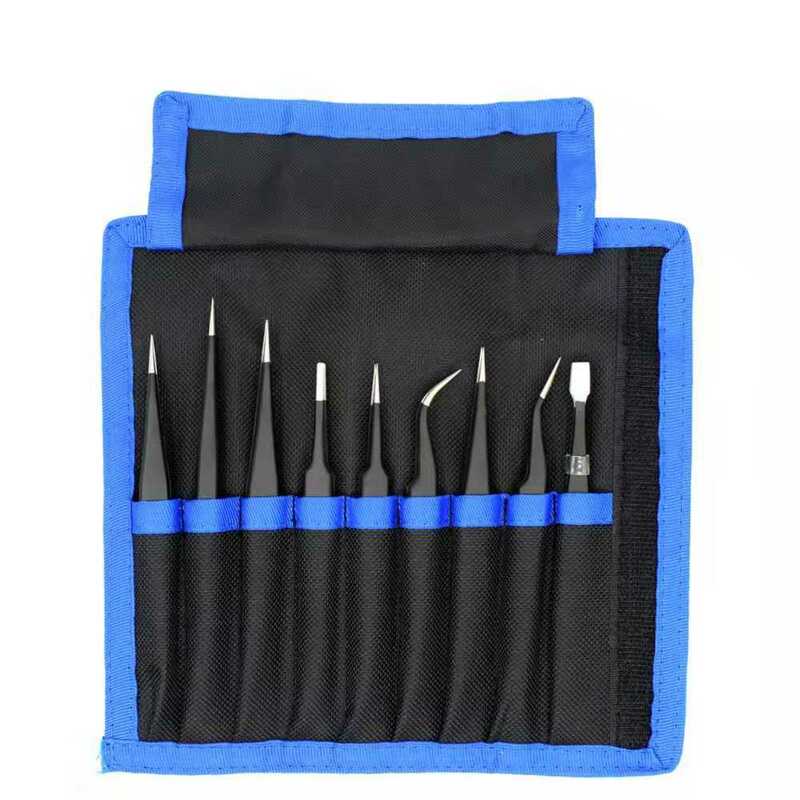 An economical 6-piece set of tweezers Anti-glare finish to reduce eye strain. Hand finished tips for precision and accuracy. Made of high quality anti-magnetic stainless steel. Safe for use with electronic components. ▪ ESD-10 (Standard): used to solder integrated circuits, as well as the installation or replacement parts. ▪ ESD-11 (Fine&pointed): the tweezers tip is longer than standard length, suitable for precision electronic components. 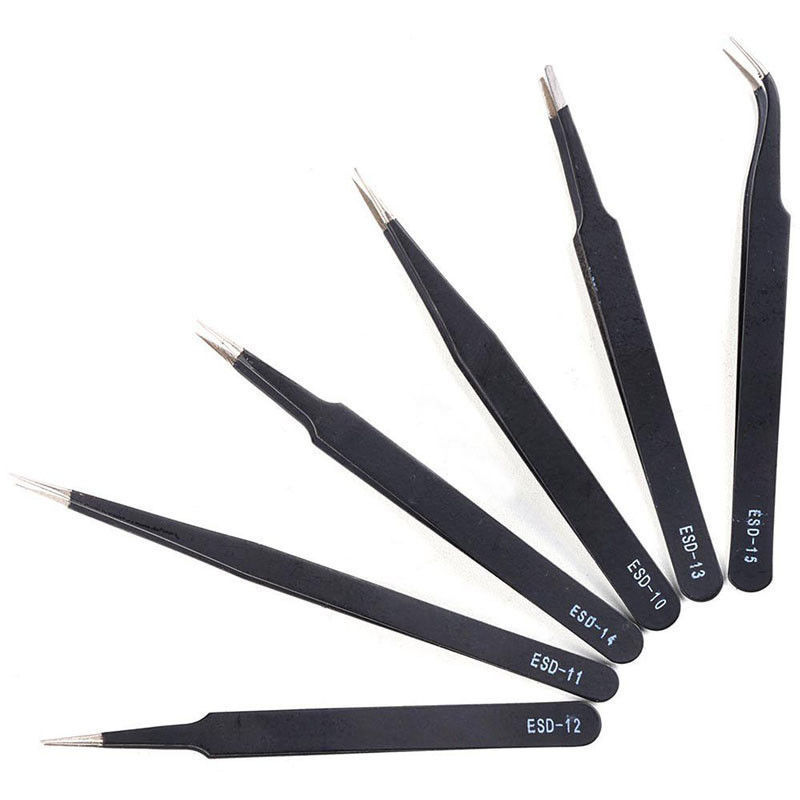 ▪ ESD-12 (Strengthen): the tweezers tip is stronger than standard tweezers, tweezers will not bend in a strong circuit board, parts will not fall off too. ▪ ESD-13 (Circle & flat): the circular can avoid element damage, suitable for extracting chip circuits. ▪ ESD-14 (Fine): the tweezers nozzle is fine, nozzle winger, suitable for high density of integrated circuit chip components. ▪ ESD-15 (Eagle tsui) : the tweezers tip bend , applicable to extract components in narrow place. Notes: They can be supplied by set as per your request.